1. Give love a thumbs-up. 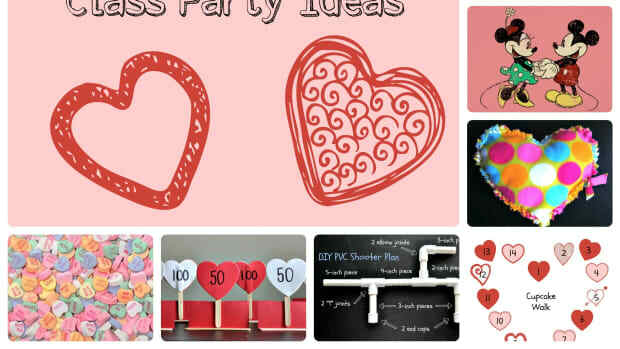 Decorate valentines with thumbprint hearts. Have your child dip his thumb in red poster paint (fingers work fine, too), then show him how to press it onto paper twice to create a heart shape. 2. Eat your hearts out. 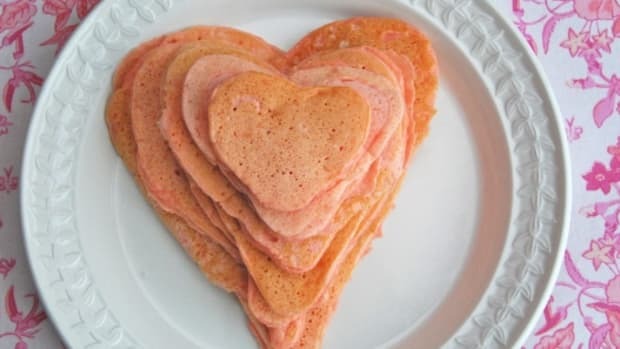 Make a pan of Rice Krispies Treats, cool slightly, and then let your kids use a heart-shaped cookie cutter (coated with cooking spray) to punch out edible valentines. Decorate with frosting and/or candies. 3. Look for love. Play the "I love you to pieces" game: Cut out a big heart from construction paper, and tear it up. Hide the various pieces around the house for kids to find and then reassemble with tape. 4. Go cocoa. Melt a bag of chocolate chips in the microwave, then stir in raisins, marshmallows, candy hearts, etc. Drop spoonfuls of the mixture onto a baking sheet, and let set in the fridge until hard. 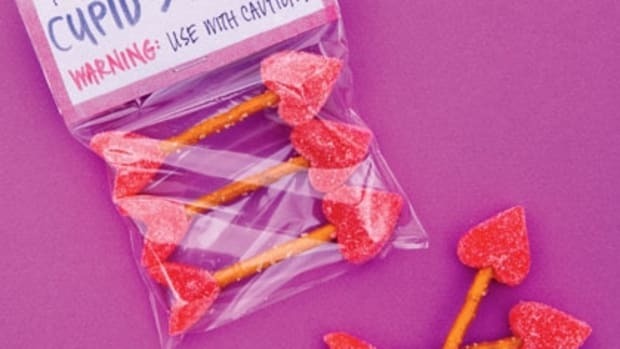 Wrap the candies in pink cellophane and tie with ribbon to give to friends, sitters, and teachers. 5. Name that passion. 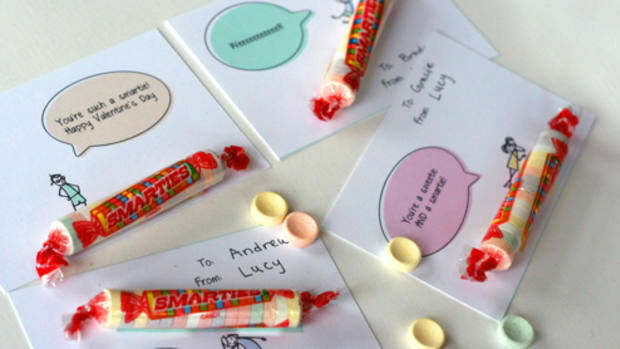 At dinner, hand out three scraps of paper to each family member and ask them to write down something they love on each one (parents can transcribe for little ones). You might write "cheese," "tennis," and "sleep" on yours, for example. Fold up the papers, put them in a bowl, and take turns picking one out and guessing who loves what. 6. Have a heart-y laugh! What do you call a very small valentine? A valentiny! 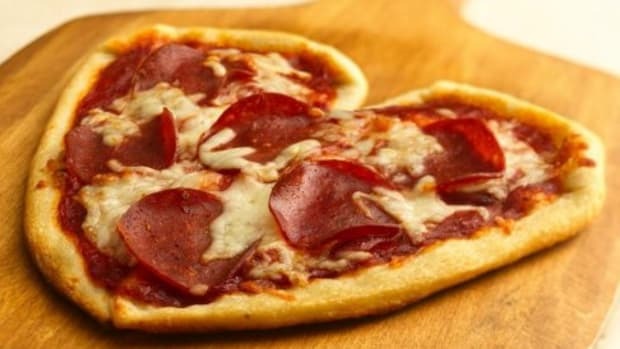 How about this one: What does a caveman give his wife on Valentine&apos;s Day? Ughs and kisses! 7. Check your pulse. Teach your child how to find her pulse in her neck or wrist. Then tell her to run or jump in place for 30 seconds. How fast is her heart rate now? What about after she lies down for a minute? 8. Get carded. 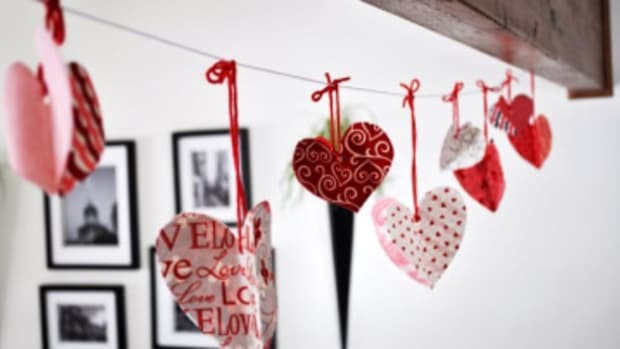 Make a pop-up Valentine&apos;s card from Crafting With Kids, by Catherine Woram: Cut out three hearts of descending size from decorative paper. Fold all the hearts in half, and adhere the largest one to the inside of a blank card with a single line of glue down the fold line. 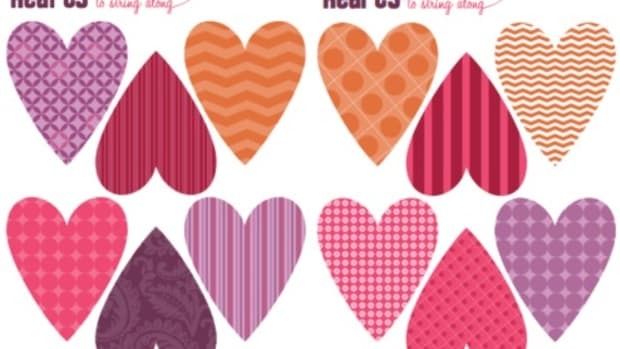 Layer the smaller hearts on top the same way for a three-dimensional greeting. 9. Cozy up. Cuddle together on the couch and watch Be My Valentine, Charlie Brown. 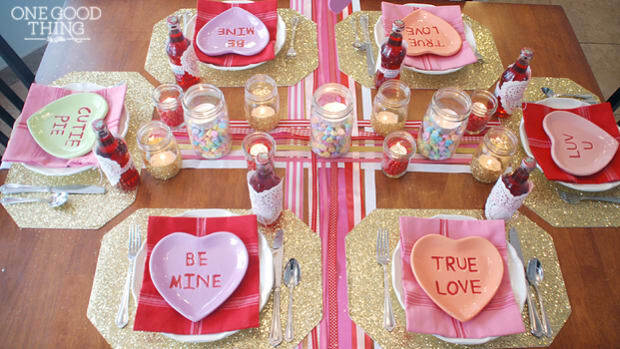 Give Cupid a little help this holiday with one of these Valentine's crafts... We've gathered our favorite 'Posts of Note' to get you knee-deep in glitter and hearts! From cards to cookies, you're bound to find something for your sweetheart. Happy Valentine's Day!